Now you too can avoid the most common email marketing mistakes, take all the pro shortcuts, and build profitable lists by simply following a set of proven steps! This happens a LOT when you’re building your list and setting up email campaigns. when you’re building your list and setting up email campaigns there are just an incredible number of COMPLEX steps you need to take. Your list doesn’t grow and you get FRUSTRATED. You get the feeling you’re missing something, but you don’t know what it is. Sometimes you KNOW you’re missing something, because you’re not getting the results you want. Introducing "Email Marketing Cheat Sheets"
You’ll go from being overwhelmed to overjoyed once you see what these 20 checklists can do for you. We’ve taken an entire multi-volume encyclopedia set of email marketing information and digested it down to the bare minimum of what you need to know to get great results from building and monetising lists. as sort of "mini-blueprints" for our own business. that we've created and assembled in this amazing package! 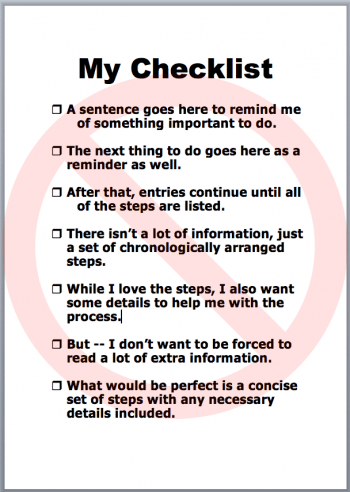 The checklists (AKA “mini-blueprints”) are more than just a set of steps arranged chronologically into a bulleted list. There is actually some “meat” to these checklists that we know you are going to find helpful. And that’s just ONE of the TWENTY checklists that you will download in this package. 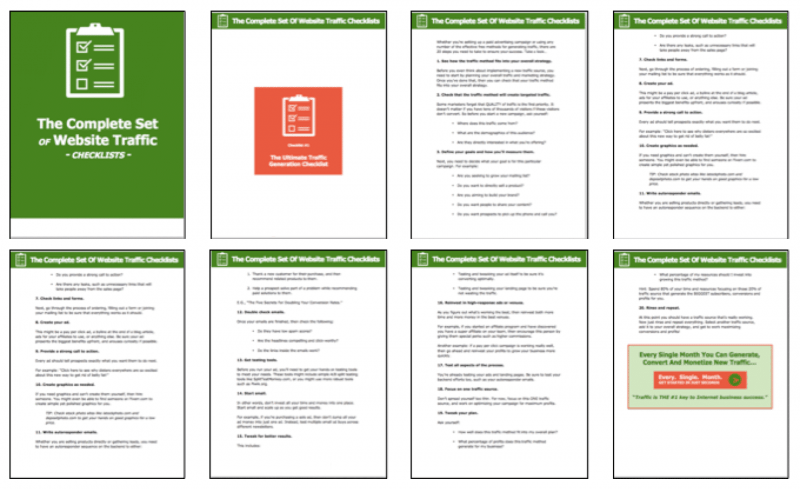 In total, there over 100 pages of "no-fluff" content in Email Marketing Cheat Sheets! No list-building effort is complete without this checklist. That’s because you’ll get seven solid ways to monetise your list, plus 15 amazing ways to maximize responses every time you send an email! If you want to make more money with your list, then check out this checklist right away! One really good way to light a fire under your subscribers and boost your conversions is by offering a special promo. This checklist walks you through the steps of setting it up, plus you’ll get ten ideas for high-response promos you can start using ASAP! Creating an effective lead-capture system means snapping into place a lot of pieces and parts across your blog, website, social media accounts and other properties. Use this checklist to improve your opt-in rates, get wide exposure, and cover all your bases! One big key to a profitable list is to increase your open rates for each and every email you send. But how do you create eye-popping open rates? By using this checklist the next time you email your list! Still another key to a profitable and successful mailing list is to have a publishing plan. Forget about last-minute planning, where you come up with an idea on the day you email your list. Instead, swipe a page from the top email marketer’s playbook and create a promotional calendar. This checklist makes quick and easy work of it! Included in your programme is access to the Monetise Your Talent Group on Facebook. Join this group so that you can receive live questions and answer sessions on anything you need to check out in the “Email Marketing Checklists” programme. In addition this will give you an opportunity to receive additional support for the monetisation of your business. Here it is: You’ve got 14 days from your initial payment to use the “Email Marketing Checklists” and see if they work for you. If you’re not thoroughly satisfied, then you can simply email us and we’ll give your full purchase price back to you.